What is Kedington Wine Fair? Hong Kong’s longest running portfolio wine tasting for consumers. 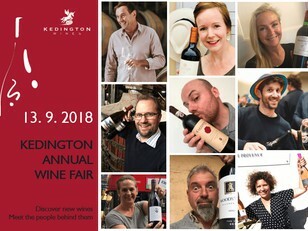 The Kedington Wine Fair is an unforgettable walk-around tasting experience featuring a selection of amazing wineries pouring their best bottles. This one-night-only event is hosted at The Upper House and features 20 top class wineries showcasing 80+ wines, accompanied by light bites. Our friends, the winemakers and winery representatives from hand-selected wineries on our portfolio; from globally admired brands like Charles Heidsieck Champagne to tiny top-class producers like Wantirna of Yarra Valley. 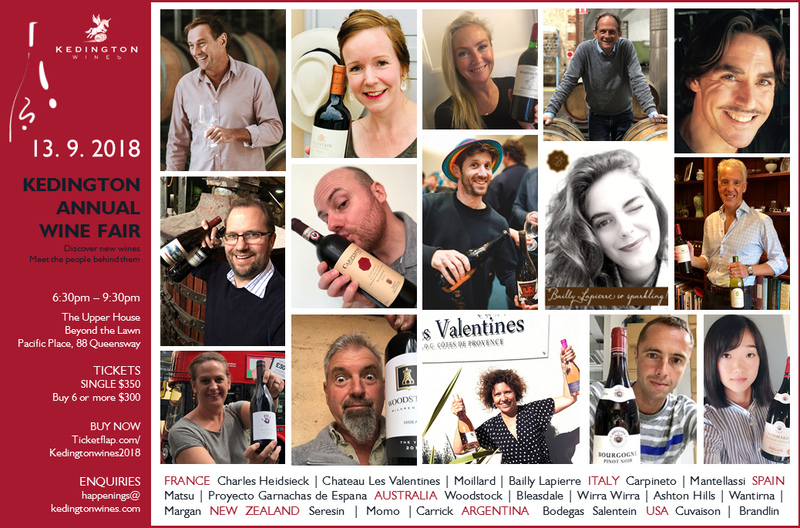 We’ll have Tuscany’s beloved Carpineto; New Zealand’s biodynamic heroes, Seresin; the pioneers of forgotten vines in Spain, Matsu and Proyecto Garnachas de Espana; Argentina’s Malbec mavericks, Bodegas Salentein; Andy Warhol’s friends, Cuvaison of Napa Valley and loads more! Kedington is an established wine importer here in Hong Kong – distributing some of our (and probably yours too) favourite wines to top restaurants, hotels and you! Over nearly 30 years, we’ve built a portfolio of wines we love - some are even considered amongst the world’s best brands. It’s these wines that put a twinkle in the eyes of every member of our super passionate team. Come and see for yourself!